Q. What are simple batch and multi-programmed batched operating systems? 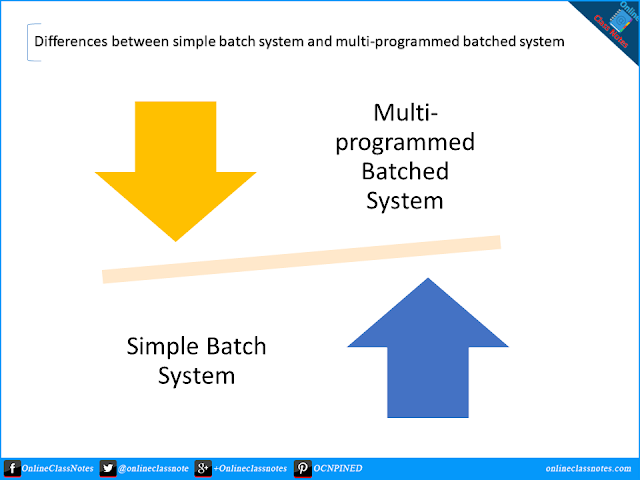 What are differences between simple batch and multi-programmed batched operating systems? In this system, processes are processed one after another. In this system, multiple processes can be executed at a time. As one process gets processed at a time, it performs low. Processes are executed in a parallel fashion, thus it is faster. CPU remains in idle states for long times. CPU do not need to remain in idle state. Example: CP/M, MS DOS, PC DOS etc. Example: Windows 95, MaxOS etc. Read More: Briefly describe different types of operating systems.